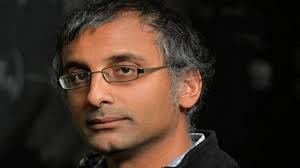 Renowned Indian-Australian mathematician, Akshay Venkatesh, was announced at the International Congress of the International Mathematical Union in Rio de Janeiro as one of the four winners of the prestigious Fields Medal for the year 2018. Apart from Venkatesh, Caucher Birkar, a Cambridge University professor of Iranian Kurdish origin; Germany's Peter Scholze, who teaches at the University of Bonn and Alessio Figalli, an Italian mathematician at ETH Zurich have also won the Fields Medal that is touted as the Nobel for Mathematics. The medals along with, a 15,000 Canadian dollar cash prize, are awarded every four years to the most promising mathematicians under the age of 40 recognising outstanding mathematical achievement for existing work and for the promise of future achievement. In 2014, another Indian-origin mathematician - Manjul Bhargava - was awarded the Fields Medal for his contribution in number theory. As per the International Mathematical Union’s website, Akshay Venkatesh has received the medal “for his synthesis of analytic number theory, homogeneous dynamics, topology, and representation theory, which has resolved long-standing problems in areas such as the equidistribution of arithmetic objects”. 36-year-old, Akshay Venkatesh was born in New Delhi. He currently teaches at the Stanford University. From being a child prodigy to becoming one of the most renowned researchers in the field of mathematics, Venkatesh's journey has been full of achievements and accolades. He moved to Perth, Australia, with his parents when he was 2. He participated in physics and math Olympiads the premier international competitions for high school students and won medals in the two subjects at ages 11 and 12, respectively. He finished high school when he was 13 and went to the University of Western Australia, graduating with first class honours in mathematics in 1997, at the age of 16. In 2002, he earned his PhD at the age of 20. Since then, he has gone from holding a post-doctoral position at MIT to becoming a Clay Research Fellow and, now a professor at Stanford University. Venkatesh has worked at the highest level in number theory, arithmetic geometry, topology, automorphic forms and ergodic theory. His research has been recognized with many awards, including the Ostrowski Prize, the Infosys Prize, the Salem Prize and Sastra Ramanujan Prize. The prestigious award was inaugurated in 1932 at the request of Canadian mathematician John Charles Fields, who ran the 1924 Mathematics Congress in Toronto.